Perhaps your daily commute really is as bad as you think. 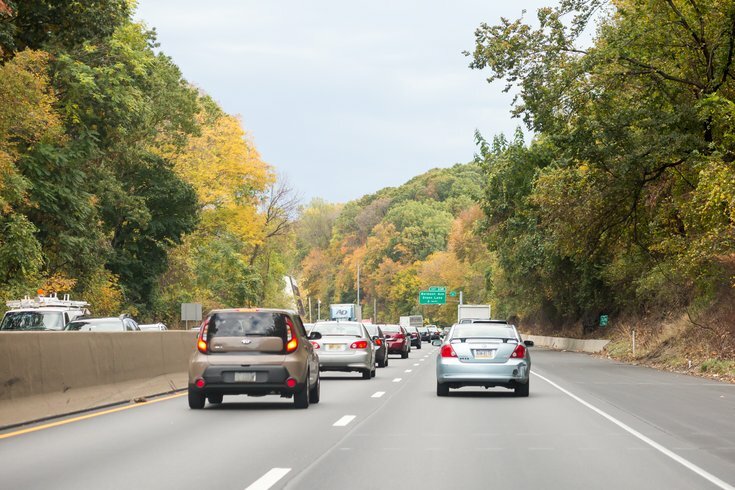 A new ranking from Esurance maps which states are making the most (and least) progress when it comes to improving commuter transportation, and it names New Jersey and Delaware as the two states most in need of some fixing. The report focuses solely on commutes that take place behind the wheel, considering statistics on time, safety, and general happiness in computing each state's score. While many western states received the highest rankings, with Alaska named No. 1, the bottom fifth of the ranking was dominated by the East Coast, with Maryland, New York, and Rhode Island among the worst for commuters. New Jersey ranked at No. 49, just one slot above Delaware, dead last at No. 50. Pennsylvania also scored on the lower half of the rankings, at No. 39. In addition to its poor scoring overall, Delaware was also listed as one of the states having the least improvement for commuters over the last 10 years, ranking second to worst, one spot above Vermont. This is in comparison to states such as Wyoming, which managed to take 9 percent of time off the average daily commute in the last decade. In some East Coast states, such as Massachusetts, the report highlights, alternate modes of transportation have improved enough to help alleviate some of the road commute strain. The growth of public transit, carpooling, telecommuting, and biking are all factors, placing Massachusetts as the second most improved for alternative methods, after Hawaii. Pennsylvania showed the most promise in the tri-state area in this category, ranking No. 25. Delaware and New Jersey ranked No. 38 and No. 41, respectively. Despite the low rankings in New Jersey, the garden state ranked in the top 10 for highest safety scores, at No. 9. Pennsylvania ranked No. 15 for safety. Delaware remained toward the bottom at No. 34. Take a closer look at the Esurance study and how your region fared here.